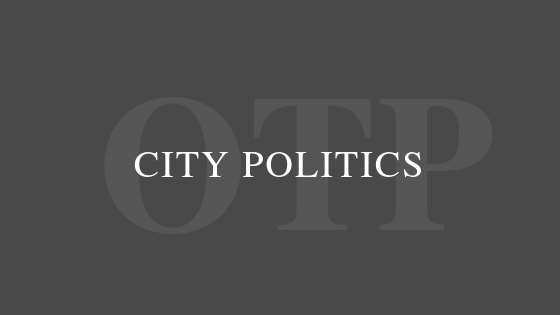 Assemblyman Walter Mosley has come out supporting the largest residential luxury complex in Brooklyn being proposed in the second–most affordable community in Brooklyn – Crown Heights South. This project is in the environmental impact stage where “binding” legal agreements will be produced to offset the negative consequences of the development. Due to the fact that luxury development in low- to moderate-income communities creates displacement, the 50% “affordable” units being proposed should be examined to ensure that they are not rent-burden apartments. Rent Burden – over 30% of a family’s total income. Severe Rent Burden – over 50% of a family’s total income. Affordable units are targeted to create non-rent-burden apartments. Average Medium Income (AMI) Affordable Income Bands range from $31,390 to $172,095 for a family of four. Crown Heights South AMI is $40,000. The developer is applying for two programs: Mandatory Inclusionary Housing (MIH) Option 2 and Federal Programs (HPD/HUD). The average income of all of the apartments must be at 80% AMI ($83,440) income. Maximum of three income bands may be used. Cannot use more than 130% of AMI ($135,590) income band. Must be 30% of all residential units being built. 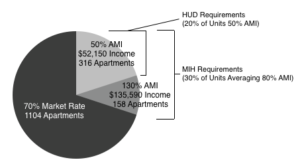 20% of all apartments must be at 50% of AMI. As the pie-chart depicts, the developer can double dip by using the same apartments to qualify for two programs. All four of these legal scenarios would create from 70 to 80% luxury apartments, because the additional 20% “affordable” have no binding agreements attached to it. The developer simply has to choose an affordable income band; i.e., $172,095 and 100% of the apartments will be rent-burden and/or severe rent-burden to the Crown Heights community. It is imperative that during this time Assemblyman Mosley follow Councilman Menchaca’s lead in Sunset Park by analyzing the “affordable” scenarios and present binding agreements with the developer to ensure these “affordable” units actually benefit the community. For example, get low-income bands for both families and senior citizens, a percentage goes to the homeless population and ensures that the developer cannot double or triple dip on these categories. This will help to offset the negative impacts this massive development is proposing in our community, ensures that any agreements are binding upon the developer and help to produce non-rent-burden apartments for the residents who reside in his district.